Technology Outlook > UK Tertiary Education 2011-2016 is the first report in a new series of NMC Horizon Report Regional Analyses. Co-sponsored by the JISC Innovation Support Centres (CETIS and UKOLN), this Technology Outlook explores the impact of emerging technologies on teaching, learning, research or information management in UK tertiary education over the next five years, as identified by the Horizon JISC advisory board. That group of experts is comprised of an international body of knowledgeable individuals, all highly regarded in their fields and representing a range of diverse perspectives across the learning sector. Johnson, L. & Adams, S. (2011). 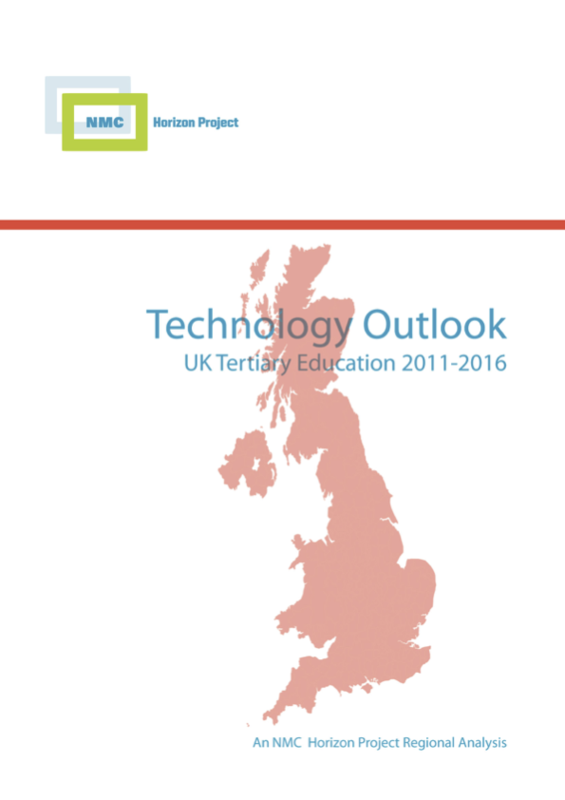 Technology Outlook for UK Tertiary Education 2011-2016: An NMC Horizon Report Regional Analysis . Austin, Texas: The New Media Consortium. Retrieved April 23, 2019 from https://www.learntechlib.org/p/182074/.